That’s a wrap! Recapping the 2016/17 season. After 15 concerts at Symphony Center, the 2016/17 season is officially over! This season pushed the musical and physical boundaries of the Civic Fellows. This year Civic actively performed throughout Chicago, from way up north in Rogers Park at Indian Boundary Park to the south side of the city in Englewood with Storycatchers Theater. The 2016/17 season was full of new beginnings. The fellowship doubled in size from the previous year, now featuring 14 fellows representing all sections of the Orchestra. This was the first year Civic partnered with the People’s Music School, where the fellows taught at three of their locations in Albany Park, Back of the Yards and Uptown. This unique partnership allowed the fellows to experience teaching students in grades K-12 through private lessons, group classes, coachings and side-by-side ensemble playing. 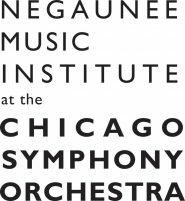 Other new events for Civic this season included the Chinese New Year’s Celebration Concert and Chicago Symphony Orchestra’s Young Artists Competition. “Courage” became the buzzword for the fellowship this year, as it was the theme of the CSO’s partnerships with Chicago schools. The fellows were challenged to memorize an arrangement of Richard Strauss’s Don Quixote that would be performed at five public schools in Chicago. On top of the arrangement, each fellow contributed her or his own unique ideas to create an interactive performance in hopes of inspiring Chicago’s youth. I am very excited to see how the fellows will help further develop these partnerships in future seasons. The final concert this season was led by Michael Stern and Yo-Yo Ma at the Kenwood Academy in Hyde Park. This side-by-side performance was a joint farewell celebration for Civic and Kenwood: it was the last concert for many Civic members as well as the academy’s graduating seniors. Civic has always gravitated towards Kenwood’s thriving music program and we plan to continue building our relationship with this school in the future. The fellows are grateful for such a thrilling and diverse season with Civic and we are all excited to see how the fellowship will thrive in coming seasons. A special shout-out to James Hall, Molly Walker and Jonathan McCormick. Thank you for building a safe environment for us to be creative and honest with each other; on top of always trusting us to be engaged and professional in all of our musical endeavors.